Most fathers are under-appreciated, some are not even appreciated. My father perhaps falls in between. Maybe we can blame it on general gender divide: most men are action-oriented while lots of women are discussion-inclined. I rarely tell my father how much I love him, most recent was last May 24th on a less than 10-minute phone call. I wonder how often Tay thinks of me. I sometimes miss our serious to senseless chat (truth is, most of it were serious), long chess games, and occasional hugs. I consider him one of the few people I hate to disappoint (brushing tears away). 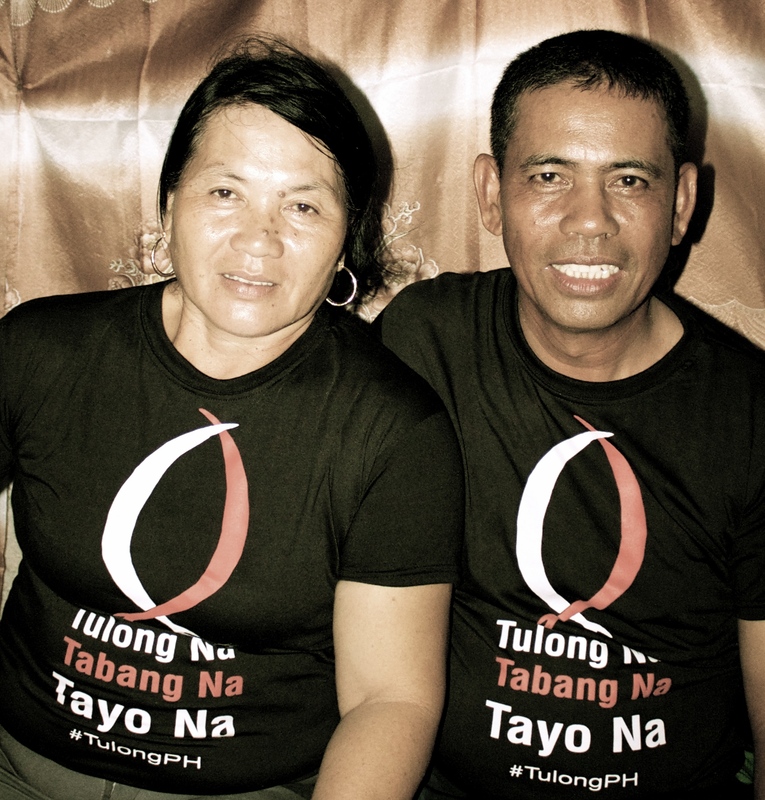 Well, let me proceed with the aim of this post, a father’s day message for my Tatay. I hate that you trusted me too much. I secretly envied the skepticism and distrust you showed my sisters and brother. I am human, frail and fragile, yet you hardly see me that way. I learned to put up a strong and self-reliant front. I knew I was and I still am, but I would have heard fiercer or harsher words from you – to keep me safe from blood-thirsty monsters and pitch-black dungeons. For the benefit of those eavesdropping, my father has always wanted me to be a member of the Army. Yeah, he thought I’m that strong – that my body was built for combat. As an update, I’m posting this picture taken just a few hours ago while we were checking out the Navy Army’s heroic soldiers who stopped by Ayala Mall, Cebu. 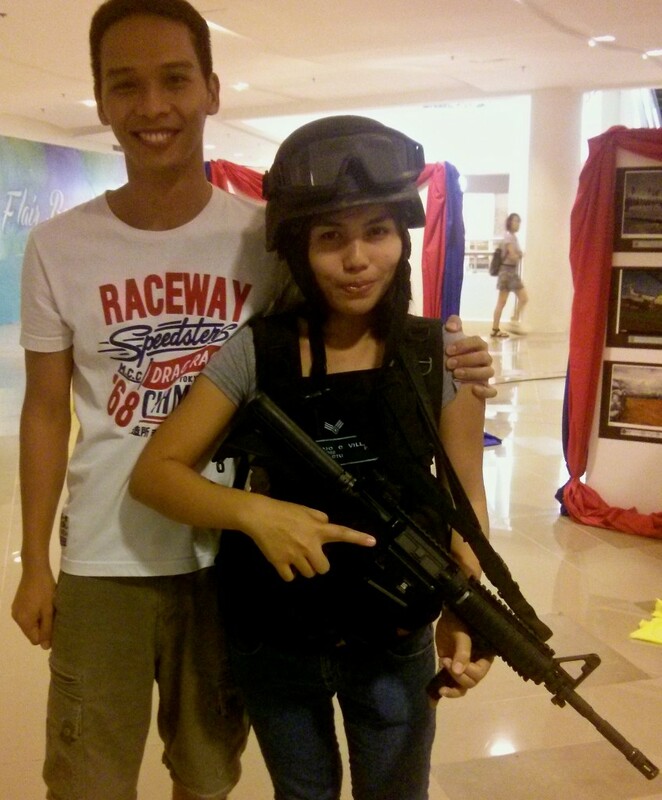 They showcased ammunition and combat gears as well as pictures taken during Typhoon Yolanda’s rescue operation. If my father ever reads my blog, he’d be proud that I had learned how to hold a gun properly. Ha!